Moto G owners now can unlock Moro G phones if they are locked to any network. If you didn’t buy an SIM Free Unlocked Moto G this is for you. Fear not, you don’t need to spend plenty of money to get the SIM unlocked. You can get an unlock code for only £2.04 (£1.99 now) from eBay UK. And this is the cheapest unlock solution for your Moto G. The seller has 99.9% positive feedbacks from a total of nearly 29,000 feedbacks. Locked phone can be a burden sometimes. And sometimes they are cheap. Tesco direct is selling the Moto G for £99. With Tesco Culbcard points and vouchers it can be further reduced. This is a great bargain for the mid range great speced phone. But the phone is locked to Tesco network. You can not use the phone on different network in the UK or anywhere in the world. But you can unlock the Tesco Moto G using the unlock code as well. At the time of writing the unlock code has sold about 1200 times and according to the listing it is easy to unlock Moto G. The item location is in UK but ships to Europe, Australia & Canada as well. Payment option is PayPal. The seller accepts rerun within 14 days if there is any problem. But do check the full listing for terms and conditions. 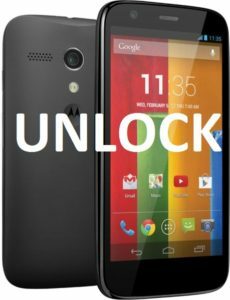 How to Unlock Moto G? 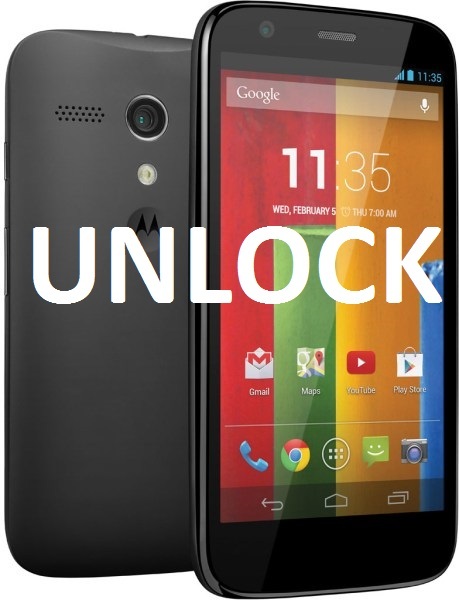 You need to order the Moto G unlock code from eBay for £2.04 (£1.99 now). After buying you need to supply your IMEI number to the seller. You need to add a message before paying and don’t forget to save the message. The seller will respond with the unlock code as early possible for him. I ordered 4 unlock codes and got them within an hour. Inserted an unsupported SIM and the unlock code for each. They worked perfect. That was fast and no fail. How to get the IMEI? On your phone dialer type *#06# and your phone will display the IMEI number of your phone. Alternatively, it can be found on the box or going to Android settings > about > status. add a message before paying!!! what you on about? To get the unlock code for your Moto G you need to supply your phone’s model number and IMEI number to the seller. Based on that the seller will send you the unlocking code. You need to include these two things in a message to the seller while paying.